WAIPAHU – The Department of Facility Maintenance (DFM) Storm Water Quality (SWQ) Branch has partnered with Waipahu High School to teach students on how to perform the popular “The Journey Home,” puppet show for elementary schools across Oʻahu. “‘The Journey Home’ is based on a beloved children’s book that encourages keiki and adults alike to be everyday Clean Water Heroes, and we’re thrilled to bring the story to life through our new partnership with Waipahu High School,” said Ross S. Sasamura, P.E., director and chief engineer of the city’s Department of Facility Maintenance. Through the city’s SWQ Branch’s partnership with the students in Waipahu High School’s Academy of Arts and Communication Drama Program, the engaging and educational puppet show will now be performed for elementary school students throughout Oʻahu. It’s also an opportunity for Waipahu High School students to gain exposure to the art of puppetry and educational theatre, while also making a difference in the local community. 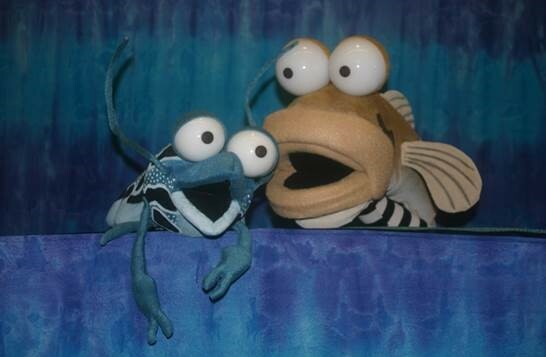 Following the journey of Apoha, a loveable Oʻopu fish, and his companion Holokai, a ninja ʻOpaeʻUla shrimp, “The Journey Home” puppet show depicts their struggle through common elements of stream pollution and helps educate children on the importance of minimizing such impacts to Hawai’i’s water quality. The mission of the SWQ Branch is to empower and provide guidance to the public on effective ways to minimize our impact on water quality in order to protect public health and the beauty of O‘ahu. For more information about the SWQ Branch and upcoming volunteer opportunities, please visit www.cleanwaterhonolulu.com.